In most diners in small Oklahoma towns, B&G…that is biscuits and gravy…is a standard side that comes with your breakfast. You typically can get two eggs, bacon, toast, pancakes aaaaand B&G for under $7. Oh I forgot hash browns…you always get hash browns. Oh and you will get a stretcher to roll yourself onto and go into a food coma. But ooooh that B&G. I dream about it. Even though it is presented as a mere “garnish” to that HUUUGE breakfast, it so amazing. The gravy is so thick. The biscuits are so light, so fluffy, so buttery. Sure it packs a huuuge caloric and carbalicious load on the badunkadunk. But let’s not ruin my B&G dreams. After realizing that I had a gluten intolerance, I thought I would never have a soft, flaky, buttery, amazing, warm biscuit again. 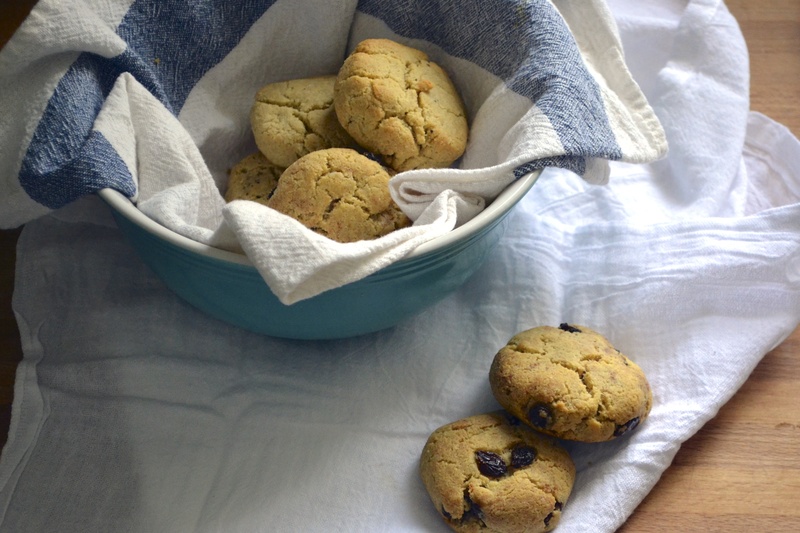 I have tried making grain free biscuits using coconut flour, but I was less than impressed. Tropical flavored biscuits are a far cry from flaky biscuit heaven. But I couldn’t give up. 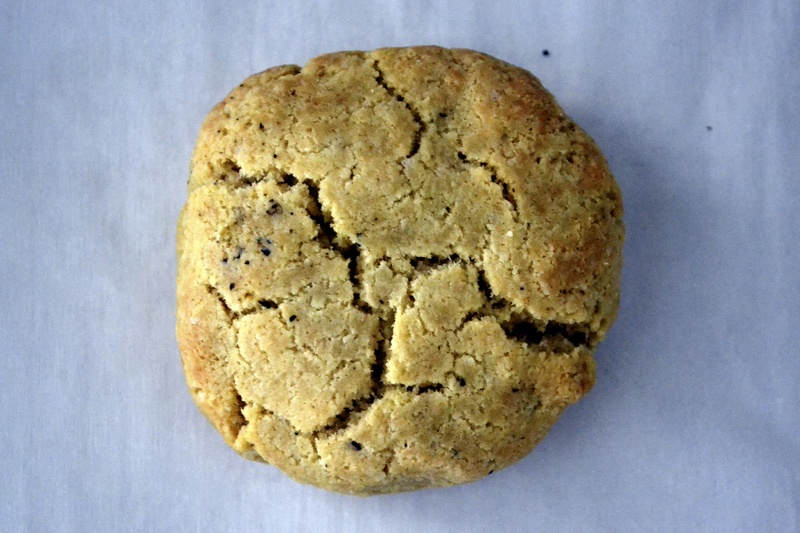 I found this basic almond flour biscuit recipe on Elana’s Pantry. Victory!!!! These almond flour biscuits are much closer to my beloved southern biscuits…flaky and buttery. I made the basic biscuit recipe and also adapted a batch by adding cinnamon and raisins. Mmmmmm. Don’t expect these to taste like real buttermilk biscuits, people…once you give up gluten…those suckers are gone. But these grain free biscuits are the closest I have tasted. I just have to remember that by giving up gluten, I have gained so much in the way of health, tummy comfort, and hormone balance! So with that in mind, these come in really close to the read deal in taste. Plus they stand head and shoulders over the “real deal” when it comes to health, protein power, and the fact that they don’t pack on the poundage on the budunkadunk. Now I just need to tackle a gluten-free gravy….I’m not so sure that is going to be possible. But challenge accepted! Preheat oven to 350 degrees F. Place parchment paper (or silpat mat) on a baking sheet and set aside. Combine all the dry ingredients (almond flour, baking soda, salt, and optional cinnamon) and blend well with a fork. In a separate bowl, whisk together all the wet ingredients (honey, butter, eggs) and combine with the dry ingredients. Mix until a dough forms. 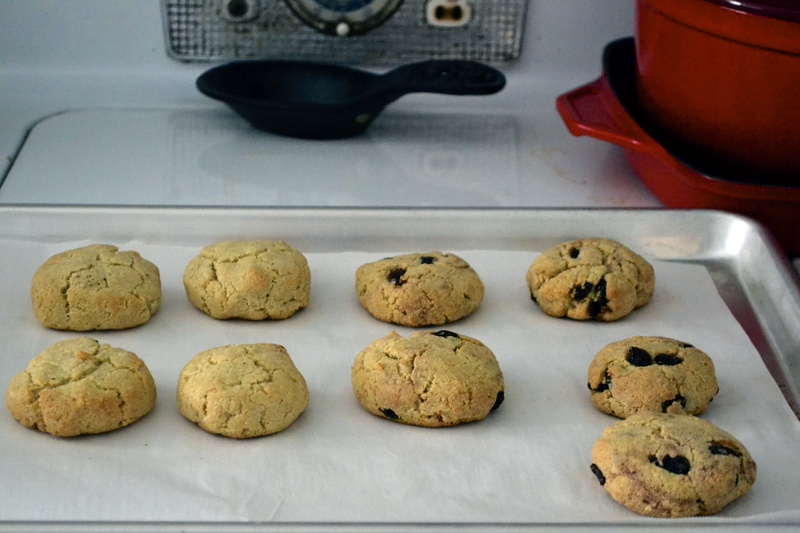 (If making cinnamon raisin biscuits, stir in raisins now). For easier handling, roll the dough into a ball and place it in the freezer for about 10 minutes. Take the dough out and form biscuits with your hands using a 1/4-cup scoop, rolling into a ball and flattening to about 1 inch thickness. Or place the dough between two pieces of parchment paper and roll it to a thickness of about 1 inch and cut the biscuits with a cookie cutter. Place the biscuits on the prepared parchment paper on the baking sheet. Bake at 350 F for about 12-15 minutes, or until they’re browned on the outside and a toothpick stuck into the center of the biscuit comes out clean. 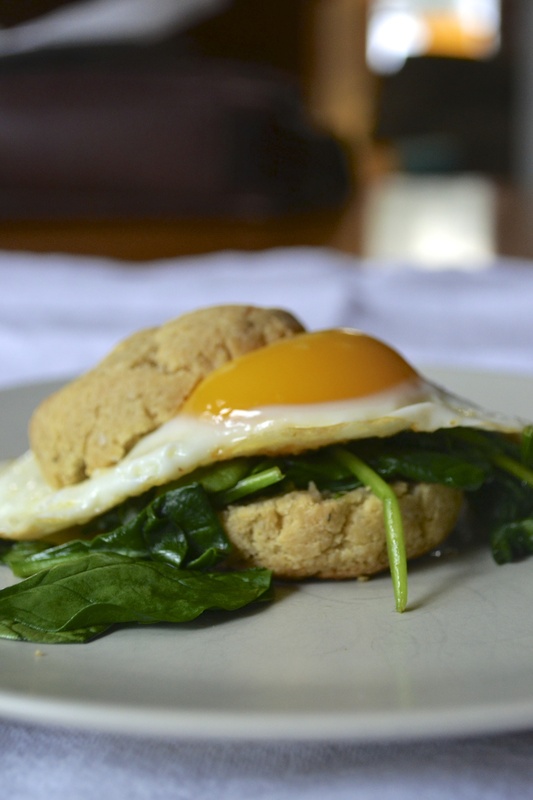 The biscuit with spinach and egg looks straight up fabulous. I cannot WAIT to try this recipe! can the dough be made ahead of time and either frozen or refrigerated? I was thinking maybe two days ahead of baking. I’ve never tried to make it ahead of time, but i think it would be fine. You may need to add more moisture to it.